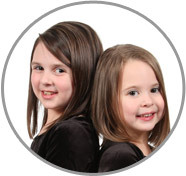 What Can ABC's Maryland Nanny Agency Do For You and Your Family? How This Maryland Agency Can Help You! ABC Nanny Source is here for you, whether you are seeking a full time or part time childcare provider! There are so many ways that your family could benefit from hiring a Nanny that you may not have even considered! When we receive your application, a Placement Counselor will go through a detailed consultation with you to be sure that we can meet all of your needs. We understand that every family is unique and we will take every measure possible to fully recognize your particular circumstance. Many parents soon come to realize all of the wonderful freedom that comes from having a Nanny at home and will never go back to a daycare or any other kind of childcare for their children! Your ABC Placement Counselor will do their best to provide you with all of the information you need and give you every option available. ABC Nanny Source truly cares about each and every family that we service, which is why we have such a great reputation for providing the most individualized attention to families in Maryland. If you are considering hiring a Nanny, please do not hesitate to contact an ABC Placement Counselor today! We are looking forward to hearing from you!